– Can be played very fast and very light. 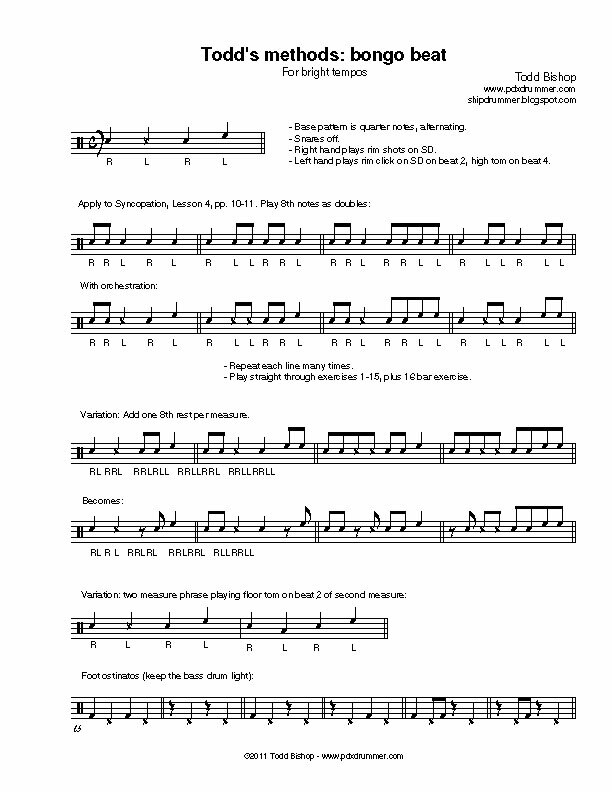 – Also combine exercise measures to make two measure phrases. – Pay attention to the sound of your rim clicks and rim shots. – When applying the floor tom variation, play the FT on the & of two of the second measure. – Also play right hand part on cymbal or bell. – Improvise your own variations.